In 2016, BVC's managing partner Ron Everett joined success expert Brian Tracy and a select group of experts and professionals to co-write Success Manifesto: The World’s Leading Entrepreneurs and Professionals Reveal Their Secrets For Achieving Success in Your Health, Wealth, and Lifestyle. As managing partner of BVC, he led this company to become the exclusive valuation advisor to the U.S. Small Business Administration’s SBIC Program, which is the largest fund of venture capital and private equity funds in the world, with over $24 billion under management. Success Manifesto: The World’s Leading Entrepreneurs and Professionals Reveal Their Secrets For Achieving Success in Your Health, Wealth, and Lifestyle is available on Amazon in both Kindle and hardcover versions. 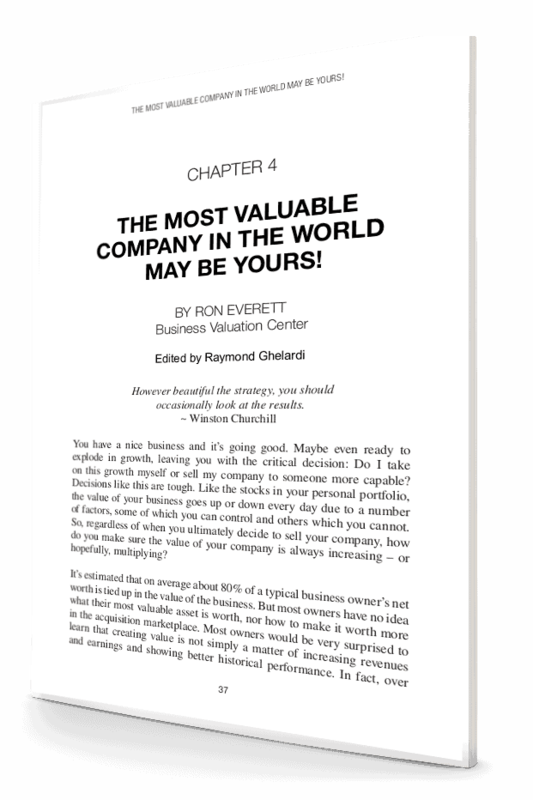 If you would like to read Ron's chapter titled "The Most Valuable Company Could Be Yours!" and receive our other valuable reports, just fill out this form.